I have a begrudging respect for Dan Brown. Anyone who can take the sort of esoteric subjects he's so fascinated by and convert them into best-selling novels deserves some credit. Of course, there is an immense disparity between the refined, philosophical nature of the mysteries he explores and the Hollywood-friendly blockbuster action he wraps around it. So where I enjoy picking out the familiar references he makes throughout his books, and trying to figure out where he's going next with each quirky puzzle he sets the reader, I find the facile, one-dimensional characters tedious. Either they're all-American heroes - wealthy, glamorous, intelligent, wealthy, witty, famous, wealthy, powerful, wealthy - or they're evil, loner psychos whose sociopathic tendencies are matched only by their demonic obsessions. Angels and Demons, indeed. This polarisation of character was somewhat balanced by the European influences in his previous novels. But in 'The Lost Symbol' he seems to tumble completely into stereotype. The lab at the SMSC 'enjoys full radio frequency separation...sealed with photo-resistant membrane...is a sealed, energy neutral environment....isolated from any extraneous radiation or "white noise". This included interference as subtle as "brain radiation" or "thought emissions" generated by people nearby.' (p44) Yet, the occupants of the lab have internet access, and can receive mobile phone calls. Go figure. How does a scientist hope to validate an experiment that measure his/her own influence on the experiment? (p57) This isn't exactly a doubly blind trial is it? The action takes place on a Sunday evening. Why is the security chief even at work? It's a big football game night, and he writes the off-duty. Get real - he's at home with a 6-pack of beer. And why is Langdon's publisher turning out the lights of his New York office at ~10pm on a Sunday night? Do these people just live at work 24/7? I'm the son of a reasonably prominent English Freemason, and I'm telling you that he's never discussed anything extraordinary about Freemasonic ritual with me, despite (or perhaps because of) my interest in esoteric studies. So why, why, WHY would Solomon show his moronic twit of a son their greatest Masonic secret, the security of which is more important than the lives of his Masonic brothers? Langdon may be daft, and keeps falling for the same fraudulent phone-calls time and again throughout the book, but even he's not so away with the fairies to break bad news to someone who's having to lie perfectly still in a cramped space in pitch darkness. Have some common decency man! Okay, rants out of the way. Good points to this book: Lots of Google research has brought together a myriad of occult knowledge, and I recognise much of it. I'm intrigued by some of the stuff I haven't heard of, which is a good thing. This hint at routes of research ticks lots of my boxes. Anyone wanting to look into Noetic Science would enjoy Edgar Mitchell's book 'The Way of the Explorer', which really sets out an alternative modern science-based philosophy well. 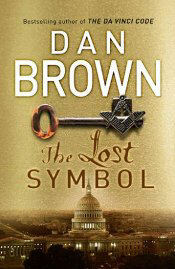 Surprisingly, Dan Brown steers largely clear of David Ovason's work on Masonic and astrological symbolism In Washington D.C. Perhaps he wondered whether an American court would be as reasonable about his use of other authors' work as a British one? Given my own small experience of Mr Ovason's wrath, I think he made a good decision. 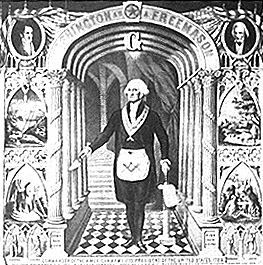 "It is always possible, in Freemasonry, that there is something hidden to which one may or may not be invited later!" Quite so. So, the book's a lot of fun, and will no doubt make a good blockbuster movie. I read it quickly, which is a good sign. But, well, let's face it, it's barking mad. And I didn't like the last few chapters, which somehow seem to allude to that desperate Hollywood need to bring the whole story back to mainstream religious adherence. Why?